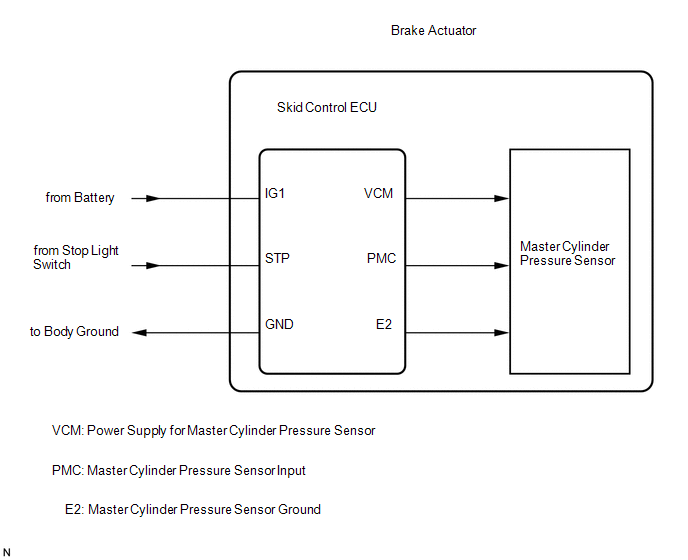 Master cylinder pressure sensor is connected to the skid control ECU in the brake actuator assembly. DTC C1281/81 will be cleared when the master cylinder pressure sensor sends a master cylinder pressure signal or when Test Mode ends. 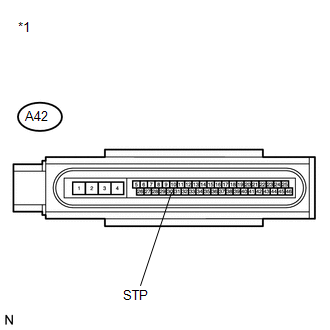 DTC C1281/81 is output only in Test Mode. The voltage of the sensor signal is out of range (below 0.129 V, above 3.29 V). The sensor supply voltage is out of range (above 5.3 V, below 4.5 V). The sensor signal offset value is out of range. (a) Check that the stop light comes on when the brake pedal is depressed, and goes off when the brake pedal is released. (d) Check that the brake fluid pressure value of the master cylinder pressure sensor observed on the Techstream changes when the brake pedal is depressed. When the pedal is depressed, voltage displayed on the Techstream increases. (b) Check that the stop light condition observed on the Techstream changes when the brake pedal is depressed. When the brake pedal is depressed, the Techstream displays "ON". (d) At a speed of 30 km/h (18 mph) or more, drive the vehicle and perform braking test (decelerate the vehicle by depressing the brake pedal).